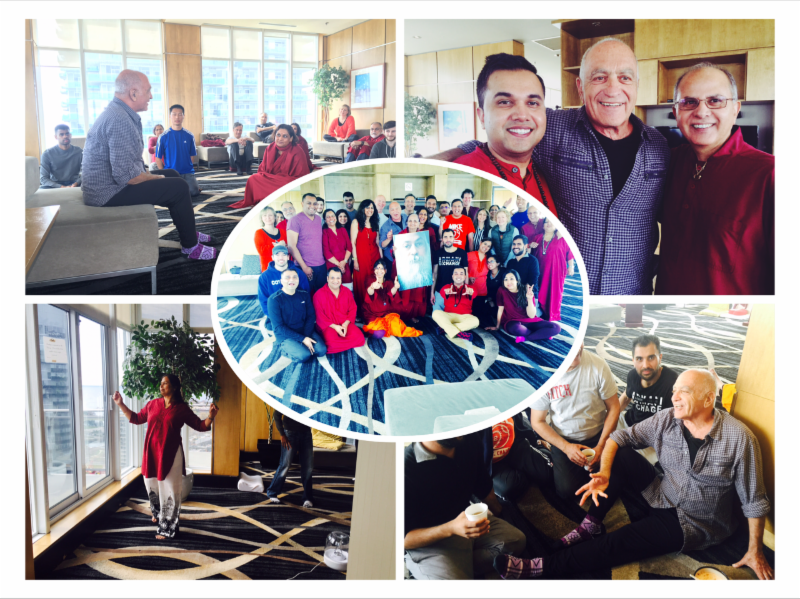 Krishna Prem , also known lovingly by friends as ”KP”, leads his signature “Meditation Playshop” in many cities around the world. His comedic style and juicy jokes brings an aroma of freshness in what sometimes seems a very “serious” inward journey. I’ve felt the cosmic joke for months after being with him last year! Please see details below for further information and registration fee adjustments next month which will help cover additional costs towards hosting Krishna Prem. The registration fee for the event is all-inclusive with vegetarian breakfast, lunch and refreshments. Krishna Prem, also known as Michael Mogul, is an author and meditation teacher. Krishna Prem left America over forty years ago in search of himself. Arriving in India, he met his teacher and friend Osho, who simply said: “If you really want to know who you are, be a joke unto yourself. Do not take yourself so seriously. If you wish to get a feeling for this playshop, check out this youtube interview.